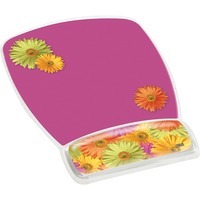 Gel Mouse Pad with wrist rest offers soothing gel comfort to encourage neutral wrist posture. Clear gel is easy to keep clean. Mouse pad features a nonskid base to keep it in place.